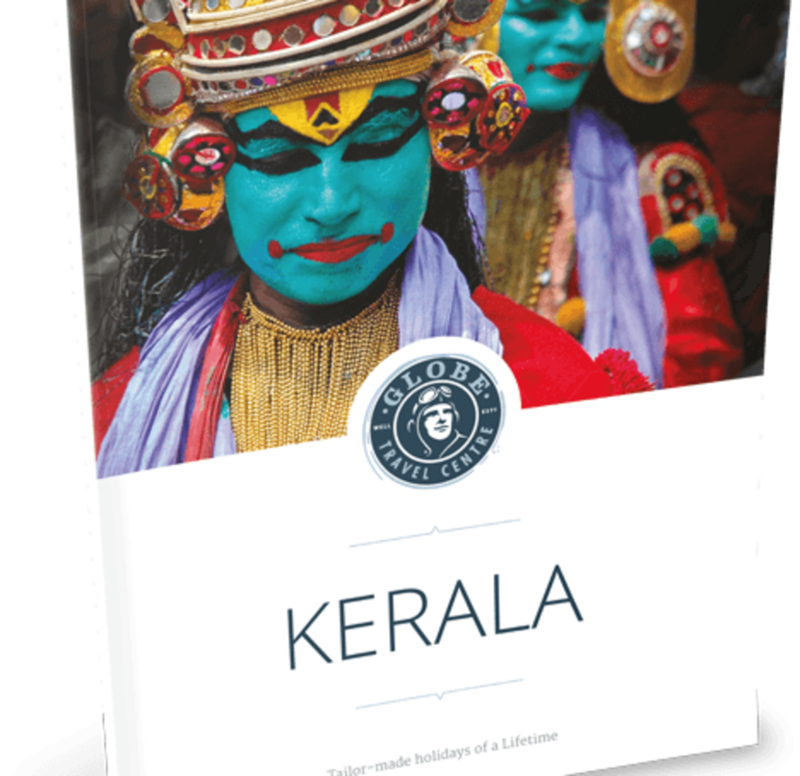 Kerala’s cuisine is like its many enchanting geographical highlights - authentic, diverse and delightful. Kerala’s cuisine is like its many enchanting geographical highlights - authentic, diverse and delightful. Kerala’s love affair with food has a long history- one that dates back to the early centuries when traders from across the world came to its shores enamoured by stories about the region’s spices. Many wars were fought to wrestle control over this spice coast. From the Greeks, Romans and the Arabs to the Portuguese, Dutch and the British - all those who came, left their own indelible mark on the region’s cuisine. Whilst the style of cuisine varies as you travel from region to region, you will find that ingredients such as spices, rice and coconuts, which are commonly grown in Kerala, find a place in every style of cooking. It is this genius of being able to fuse local ingredients and styles with external influences that makes the culinary experience here fascinating. Today the cuisine of Kerala is a remarkable fusion of many distinctive and rich culinary varieties and offers you a gastronomical experience like no other. The culinary delights are distinctively different as one travels across Kerala. Pre-independence Kerala was split into the princely states of Travancore and Kochi in the south and the Malabar district in the north. The Arabs who came to the northern Malabar regions shaped the now famous ‘Mopilla’ cuisine which offers an array of non-vegetarian dishes, while the traditional Travancore cuisine consists of a variety of vegetarian dishes using many vegetables and fruits that are not commonly used elsewhere in India. Since many of Kerala’s Hindus are vegetarians and a significant number of Muslims and Christians are non vegetarians, Kerala cuisine offers a multitude of both vegetarian and non vegetarian delicacies. Vegetarian meals in Kerala usually consist of multiple courses, each involving rice as a main dish accompanied by several side dishes. On festivals and special occasions, traditional vegetarian food is served on banana leaves and is a grand affair where as many as eleven different types of side dishes are served. Common non-vegetarian dishes include stews (using chicken, beef, lamb or fish), traditional chicken and fish curries, fried fish and seafood. ‘Biriyani’, a Mughal dish consists of rice cooked along with meat, onions, chillies and other spices. You only have to witness the scale of preparations whether it be a festival or wedding to know the Keralite’s penchant for cuisine. Rice is grown in abundance in Kerala and needless to say is the staple food of the region. What is really fascinating though is the unbelievable number of different creations the locals have made from this one ingredient. Once the rice is pounded into flour it can take the shape of spongy rice cakes (or 'Appams'), thin lacy bread (called 'Pathiri'), pancakes filled with coconut and jaggery (called 'Ada'), golden brown sweet deep fried dumplings ('Unni appams'), flower shaped crispy delicacies called 'Achapams' and string hoppers or 'Idi appams'. A traditional breakfast would always feature items like Puttu' (made of rice powder and grated coconut, steamed in a metal or bamboo holder) and fluffy rice pancakes called 'idilis' accompanied by chutneys and a curry called 'sambar'. The pride of place in the rice based dishes however goes to 'Palappam' or 'Appam' usually served with stew. While on the subject of rice, what is also interesting is that the type of rice used by local Keralites is very unique as well. Made by boiling and drying the raw product, the rice used here is called 'Puzhukkari'. When cooked each grain is plump and is slightly reddish in colour as it is not completely de-husked. Talking of key ingredients, one cannot undermine the importance of one of the most commonly found ingredients in most dishes- the coconut. Coconuts grow in abundance in Kerala (after all, the term Kerala itself means the ‘land of the coconuts’) and consequently, grated coconut and coconut milk are widely used in dishes and curries as a thickener and flavouring ingredient. As with almost all Indian food, spices play an important part in Kerala cuisine too. The main spices used here are cinnamon, cardamom, ginger, green and red peppers, cloves, garlic, cumin seeds, coriander and turmeric. Please note that local cuisine offered at the various resorts is tailored to suit your tastes. Kerala's long coastline, numerous rivers and backwater networks have contributed to the many seafood based dishes, making it one of the mainstays of the local cuisine. Needless to say, a variety of mouth watering fish delicacies are on offer, including the famous ‘Alleppey Fish Curry’ which uses raw mangoes and has a tangy flavour. The most popular fish in the region are sardines and mackerel which are either fried or made as curries. In the backwater regions, the ‘Pearl spot’ or ‘Karimeen’ is the most popular. Fresh pearl spots are part of the non-vegetarian menu on houseboat cruises. Along the coastline you will find various types of seafood including mussels, squid and prawns. An experience not to miss is the unique drink called ‘kallu’ or toddy. Made from the sap of the coconut tree before it blooms, toddy can be non intoxicating if consumed fresh off the tree but can also give you various levels of ‘highs’ when fermented. You will see numerous toddy shops across the state where locals go for a quite drink which is accompanied by some fantastic seafood, beef and other curries. Also when you are travelling in Kerala, don’t forget to stop enroute to experience the ‘metre tea’ in one of the local tea shops. Due to limited influence of Arab & Central Asian food on Kerala, the use of sweets is not as widespread as in the North of India. Kerala does not have any indigenous cold desserts, but hot/warm desserts are popular. The most popular example is undoubtedly the 'Payasam'; a preparation of milk, coconut extract, sugar, cashews and dry grapes. Various versions of the payasam are available which use different ingredient like rice, banana and pulses. Fruit, especially the small yellow bananas, are often eaten after a meal or at any time of the day. The influence of European colonial rule is reflected in the numerous bakeries selling cakes, cream horns and western-style yeast-leavened bread and in the cuisine of the community of Anglo-Indians. Generally, except for Payasam, most sweets are eaten as a tea-time snack and not as dessert. Not to be missed also is Kerala 'halwa'- a sticky sweet that originated in the Middle East and is now an intrinsic part of the cuisine. Made from rice flour or wheat flour with jaggery and coconut this delicious sweet is a fantastic snack which can be had along with Kerala’s crispy banana chips. Success! You’re all signed up.